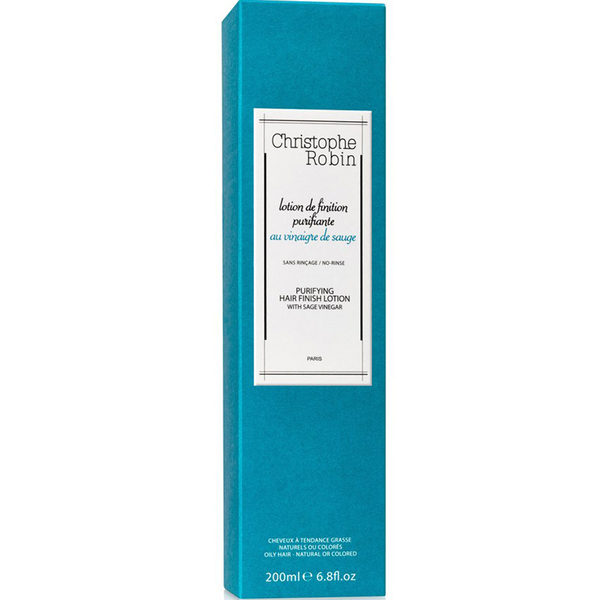 Experience a cleanse like no other with Christophe Robin Purifying Finishing Lotion with Sage Vinegar, a leave-in treatment enriched with beneficial vinegar and a subtle scent. With rebalancing and soothing properties, the light, anti-inflammatory formula works to rid the hair and scalp of impurities, dandruff and product build up whilst delivering the ultimate cleanse. 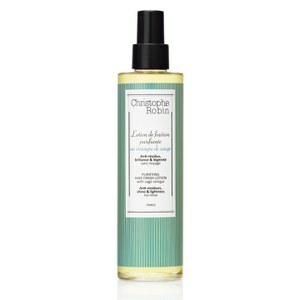 Delicately perfumed, the lotion will leave your hair looking and feeling healthy and balanced with greater manageability and shine. Can also be massaged into skin for a gentle fragrance. - K.N. *Free from parabens, silicone and colorants. Apply from roots to ends, after shampoo. Use as a natural dry shampoo - spray to refresh roots and lengths. Massage into skin for fragrance and tone. Spray on sunburns and stings.